Attorney Keenan has been a member of New Hampshire and Maine Bar Associations since 1986, and has over thirty one years’ experience as a general practice attorney. He is licensed to practice law in New Hampshire and Maine, including the New Hampshire and Maine Federal Courts, and the New Hampshire and Maine Bankruptcy Courts; He has argued several cases before the New Hampshire Supreme Court. Attorney Keenan is an accomplished and zealous advocate. He has litigated civil and criminal matters in the Rockingham County, Strafford County, Hillsborough County, and York County (ME) Superior Courts, as well as the Portsmouth, Dover, Rochester, Hampton, Derry, and York (ME) Circuit, District, Family, and Probate Courts. He also regularly appears before the Department of Labor, Division of Motor Vehicles, and local Planning and Zoning Boards on behalf of his clients. In addition to being a skilled attorney in the courtroom, Chris has also attained great success in mediation, arbitration, and settlement. Attorney Keenan has developed an expertise in family law over the years. 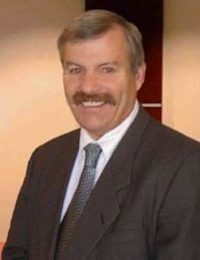 He has helped men and women through difficult divorces, assisted parents with parental rights and responsibility matters, and has advocated for clients going through child custody and child support disputes. Attorney Keenan is a New York native, but has enjoyed living in New Hampshire for over 3 decades. Chris maintains a strong commitment to his Seacoast community and when he is not busy at the office, he enjoys golfing, coaching softball, and being with his family. 33 years since Christopher W. Keenan was first licensed to practice law.